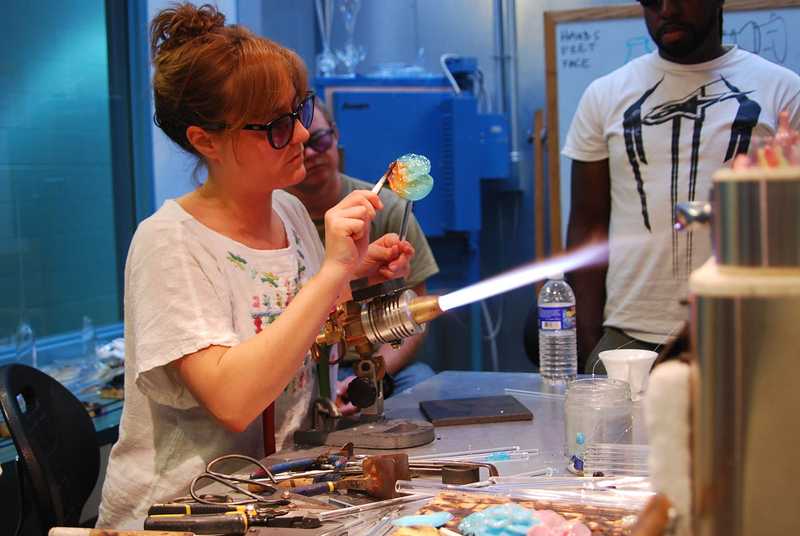 Amber Cowan will be working in the Museum of Glass Hot Shop from May 4 through 8. 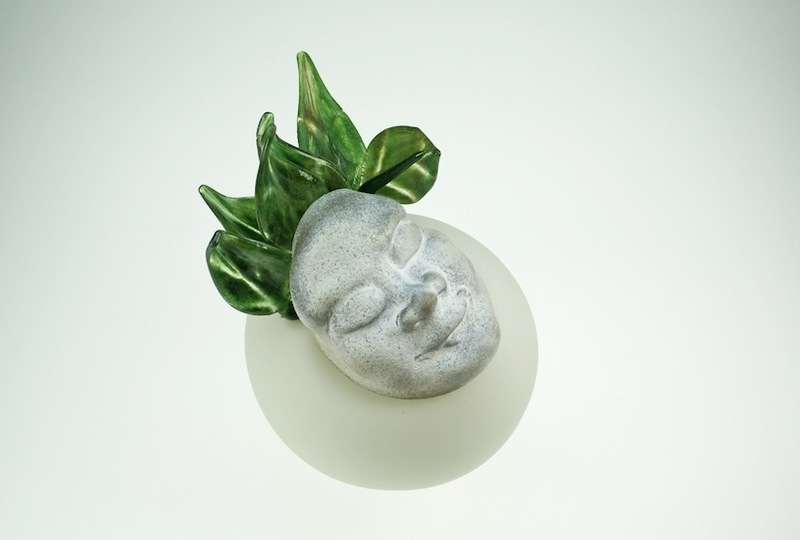 MOG’s Visiting Artist is currently a faculty member of the glass department at Tyler School of Art in Pennsylvania and her work is represented by Heller Gallery in New York. Cowan is known for searching flea markets and thrift shops for discarded objects such as teacups, plates, and dishes and transforming these discarded items into decorative sculptures ornamented with of swans, lambs, roses, leaves, and floral layers. Photo courtesy of Amber Cowan. MOG caught up with Amber before her residency to talk art, flea markets, and pastries. I was in graduate school, from 2009 to 2011. I began working with old glass when I found a barrel of old factory cullet at Tyler. This barrel was from an old run of easter candy dishes. Since people have started learning about my work, I now get packages from people all over the country. Sometimes people I have never met send me old glass that they don’t want to keep, but feel sad about throwing it out. They know that I will give it a new history. 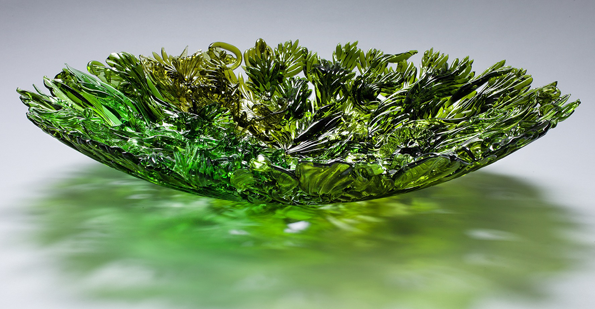 Amber Cowan; Bottle Bowl, 2012; Flameworked and fused recycled wine bottles; 15 x 15 x 2 inches; Photo courtesy of the artist. An old cullet yard in West Virginia. But, I am also always looking for new places to get old glass at good prices. I just discovered an amazing store in Richmond, Virginia, that was the biggest vintage glass and ceramic store that I had ever seen. Probably be a pastry chef. When I was visiting a friend in LA and then drove out to Joshua Tree. The last time I was in Washington state was last August, when a friend and I drove from San Diego to Seattle and then I taught at Pratt for the week. Get inspired about new directions I can take my work. I have created a special press mold for my residency based of an old vintage milk glass hand. I had the old piece 3-D scanned and another faculty member at Tyler milled the graphite for me to create the mold. I can now reproduce this vintage piece very easily. 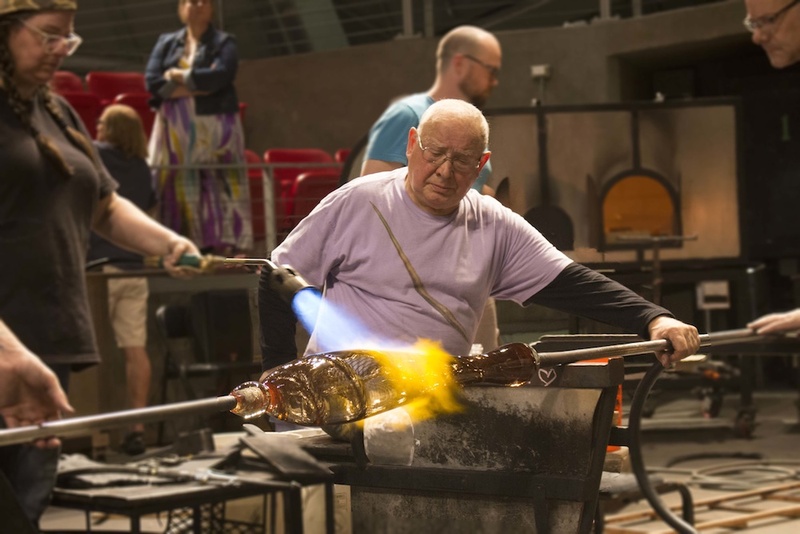 I am excited to see where this process can take me when it is combined with the skilled glassblowers at Museum of Glass. Plan a visit to Museum of Glass to see Visiting Artist Amber Cowan working, or tune into her residency online. This entry was posted in Art, Artists, Hot Shop and tagged Amber Cowan, ebay, flea market, Heller Gallery, Museum of Glass, New York, Pennsylvania, Pratt, Tacoma, thrift store, Tyler School of Art, Visiting Artist Residency, Washington on May 2, 2016 by Museum of Glass.